In large and small bedrooms smart storage is key in organizing clothes, bedding and in minimising clutter. A multi purpose chest of drawers, a 2 or 3 drawer bedside table, a cute nightstand for a reading lamp, all are super helpful no matter the size of the room. Children and kids need lots of storage units, cabinets and functional furniture, all cleverly designed for maximum efficiency. As they grow up their needs change and so do their books, bags, backpacks, clothing, shoes...and most precious possessions. There are many bedroom storage solutions you can choose from, but let's start from the basic ones: bedside tables and chest of drawers. A bedside table with 1, 2 or 3 drawers is the best option for children and kids who love to have their belongings always at hand: mobile phone, favourite book, a cool reading light or just a glass of water can easily sit on top of a nightstand. Drawers can house underwear, socks, jewellery, stationery, beauty products for the night routine. If you want a stylish storage solution go for a floating bedside table (which is also super handy for cleaning the floor). Customizable nighstands allow you to choose among the most loved models: low or tall bedside tables, wide or compact, narrow or large. Last but not least, a bedside table with wheels can be used as a drawer unit for desks and study areas. Chest of drawers or dressers? A tall chest of drawers is great if you don't want to take up too much floor space. A dresser is usually wider therefore not the best option if you are looking for a space-saving solution. Both can have either three, four or six drawers. Chest of drawers are a common and useful piece in kids bedrooms, as they complete the bed-nightstand-wardrobe set. You can use them for jumpers, t-shirts, underwear and socks, but also bedding, linens, toys and diapers. The many colour options and streamlined look of these dressers cater to boys and girls any age, from toddlers to teenagers. Don't stop at pictures: bedside tables and chest of drawers are customizable. 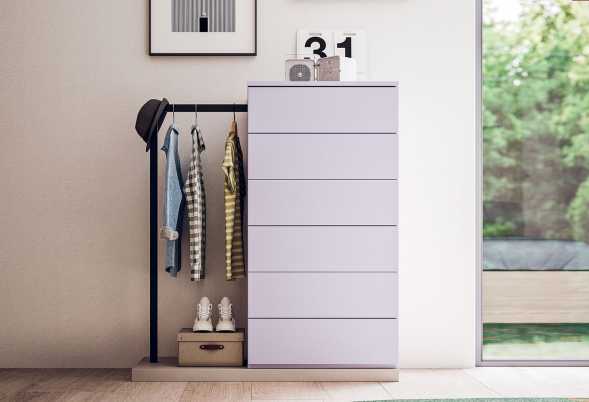 Browse through product pages to find ideas and suggestions, then contact us to find out everything you need to know about our Italian bedroom storage, prices and configurations. Ambrogio is a stylish tall chest of 6 drawers with clothes rack incorporated. 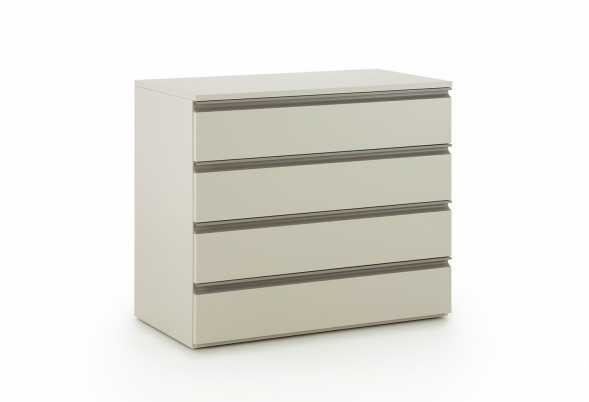 Perfect storage solution for kids’ rooms, master bedrooms, dressing rooms or hallways. A playful floating bedside table with drawer, Box is a wall mounted drawer you can as a nightstand, storage shelf, or you can create custom modular compositions. 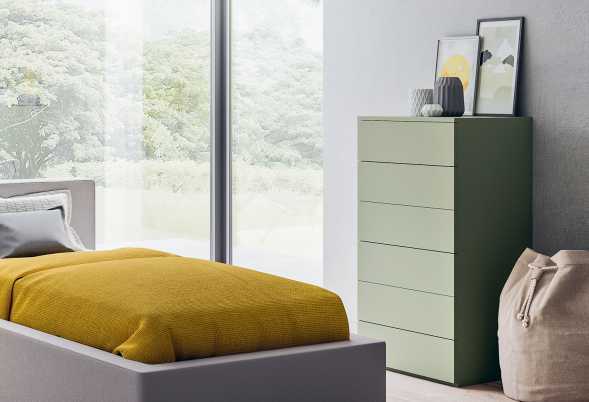 Start is a bedside table on wheels available with 1,2,3 or 4 drawers, in three different widths and in a myriad of colours to suit boys’ and girls’ bedrooms. 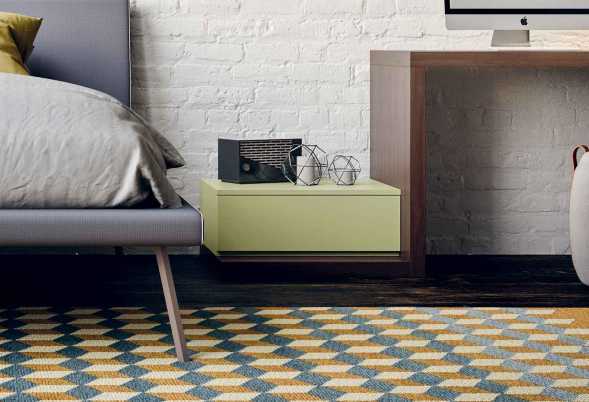 A colorful bedside table for the bedroom is an essential piece of furniture for children and teenagers of all ages. Available in a huge range of colours. Tripode is a low round end table with a Scandinavian style, with 3 legs. Sitting room end table also suitable as bedside table. Start is a collection of kids floating nightstands with drawers and dressers. Different sizes and finishes, also with casters. 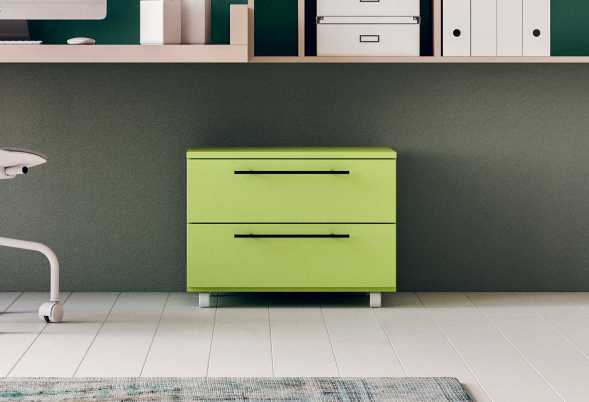 Start Settimanale is a chest of seven drawers, also available with six drawers in many colours. For modern kids or master's bedrooms. 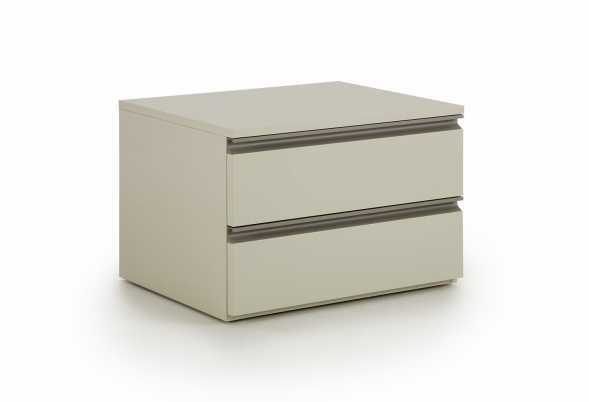 Box is a low bedside table with 1 drawer, drop down or hinged doors. It is available in many colours and in cm 45, 60, 90 and 120. Perfect for small kids bedrooms. 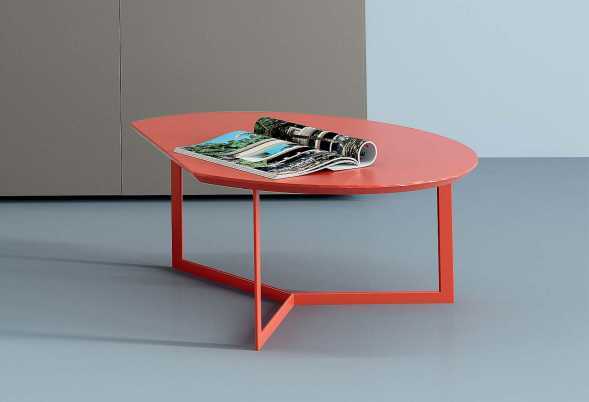 Fruit lacquered end table can also be used as a bedside table, available in several colours. Ideal in bedroom, kids bedroom and living room too. Ghost is a collection of kids chest of drawers and dressers. 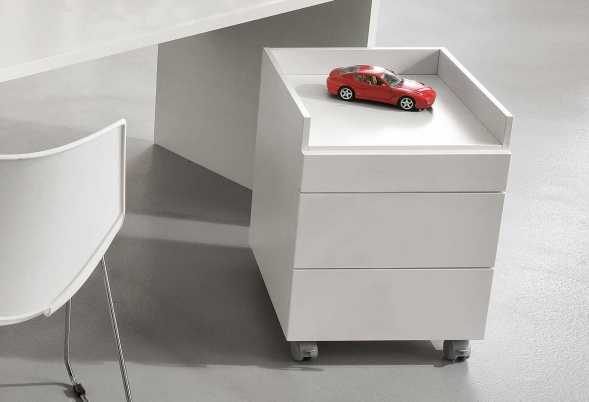 Available in different sizes and models, with 1, 2, 3 or 4 drawers. 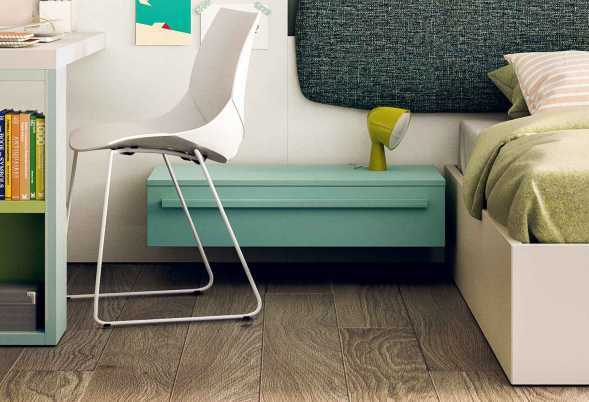 Ghost is a collection of handleless nightstands for kids bedrooms. Available in many colours, with casters, drawers and big drawers. Easy 2 seater bench for the living room with seat and backrest cushions covered in eco-leather or fabric. 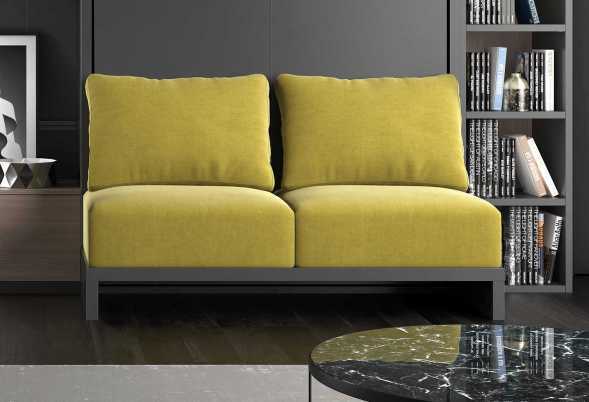 Soft or firm upholstery. Start is a 2 drawer storage unit with castors for home offices or kids bedrooms, a useful cabinet that will help you sort and organize paperwork and stationery. Troller chest of drawers for the office with casters, furnished with lock and casters with brakes. Available in different colours.